I can’t believe that we have just a few weeks left of school! My son’s school librarian always puts “thank you notes” on her wish list for gifts at Christmas and teacher appreciation week, so I always try to put together a nice collection of all-occasion cards for her at the end of the year. This time around, it seems like Kraft paper has become my go-to paper. 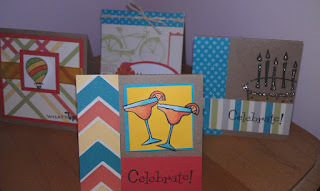 I love the Kraft cardstock from Cutcardstock.com. It’s easy to cut, but sturdy and makes a nice card base. You can get eight 3” x 3” cards from one 12” x 12”, so I generally make batches of eight at a time. These cuties are perfect for tucking in a folder or book, so the librarian will get good use out of them – no envelopes necessary! I made two each of the four designs. In keeping with last month’s using scraps theme, I decided to go with some leftover bits from Close to My Heart’s Dotty for You paper pack, an exclusive this month for National Scrapbooking Month. 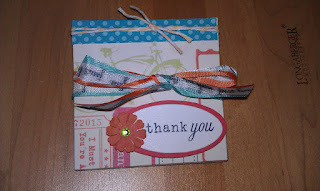 One great thing about the 3” x 3” cards is that even your 1” scraps actually come in handy! 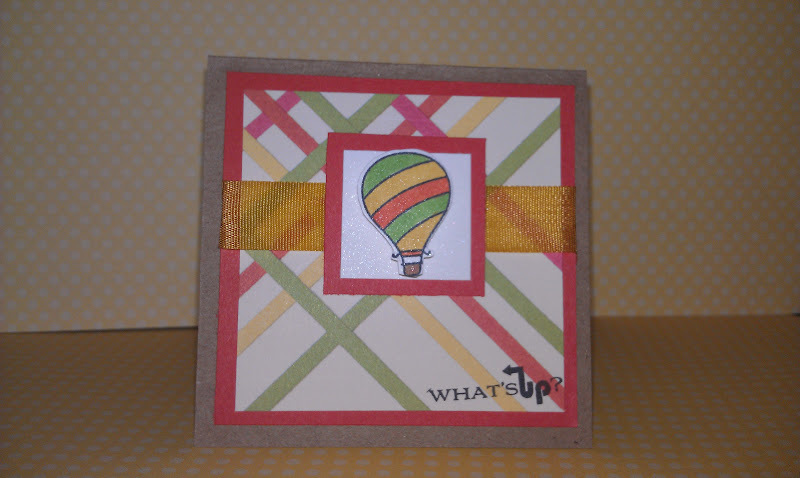 For this What’s Up card, I used a Kraft cardstock base (cut your 12 x 12 cardstock into 3” strips, then cut each strip in half at 6”, and viola! you have your card bases!) I also used Pop Tones Tangy Orange as an accent layer. The PopTones Tangy Orange squares are 2 ¾” x 2 ¾” and 1 ¼” x 1 ¼”. I layered the leftover Dotty For you Plaid, then the smaller Tangy Orange Square with a 1” x 1” square of Curious Metallic’s Cryogen White. 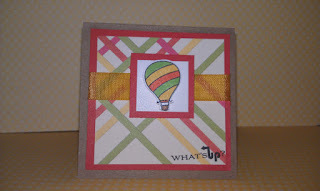 The stamps for this card are by Papertrey Ink. Ink is Tuxedo Black by Memento. Copic Colors: Y26, YG17, YR18.The ribbon was colored with Y26. This next card reminds me of Mexico! 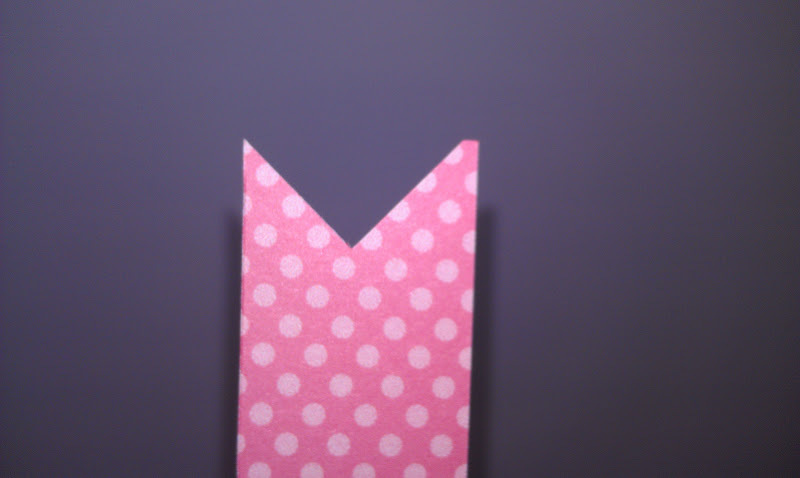 The chevron paper is CTMH Dotty For You. I stamped Celebrate! 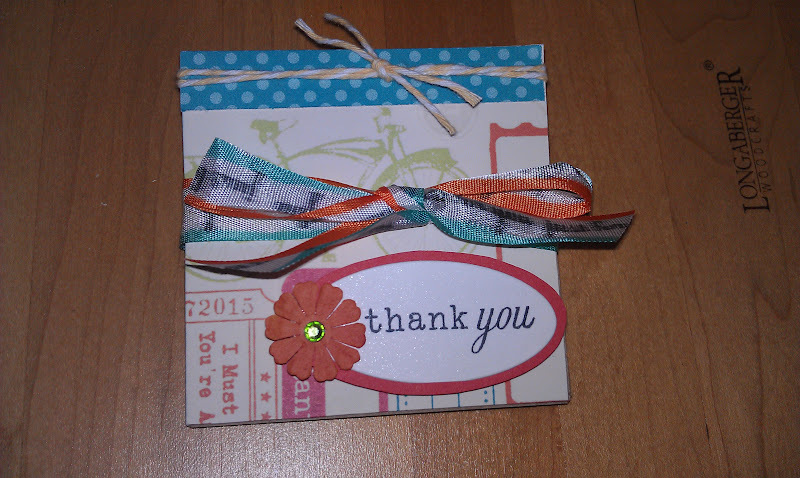 (by Fiskars) on a 1” x 2” piece of Tangy Orange Cardstock. 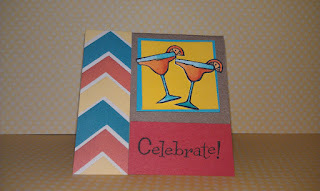 Then, I stamped two margarita glasses from the same Fiskars set on Curious Metallic’s Cryogen White and cut out. I adhered the glasses to a 1 ½” x 1 ½” square of Pop Tone’s Lemon Dropcardstock, and layered that on top of a 1 ¾” x 1 ¾” of Pop Tone’s Blue Raspberry cardstock. Copic Colors are: BG15, BG13, BG10, YR12, YR18, YR07. 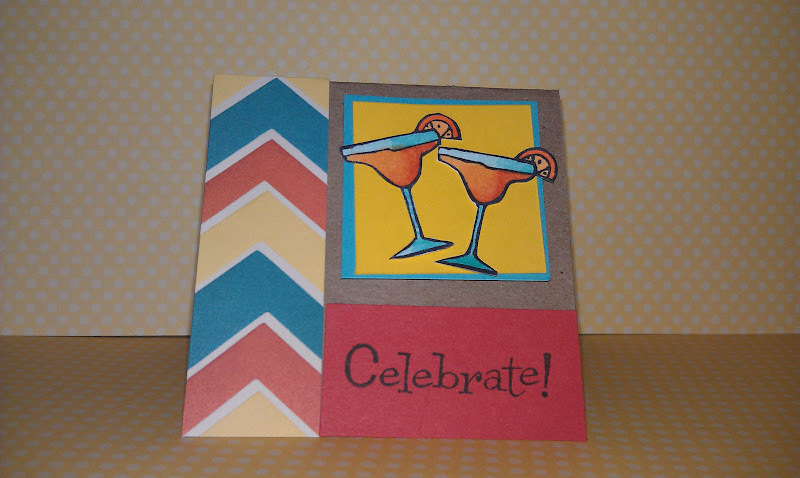 This card uses Unity’s “It’s Your Day” stamp set and the sentiment is from Fiskars’ “Join the Party” set. 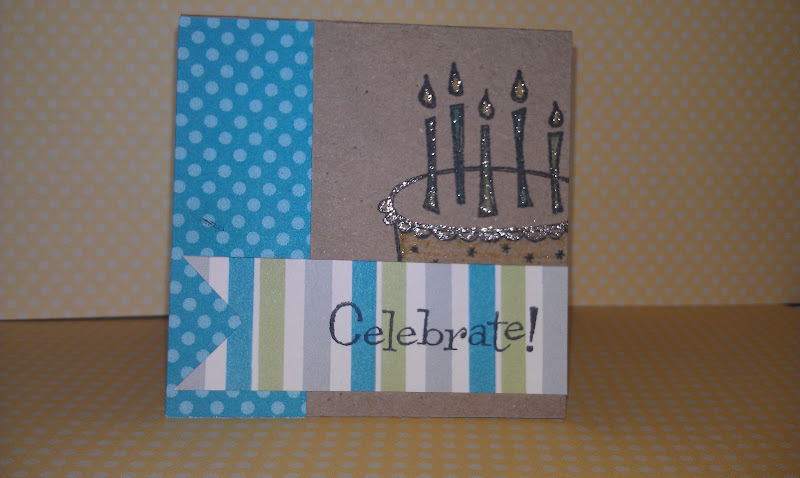 I adhered the dotted print to the left side of the card (1” x 3” ) I stamped the birthday cake image on the right lower side of the card front and colored in the cake and candles using Atyou Spica pens. They have real glass flakes in them, giving your projects super sparkle! 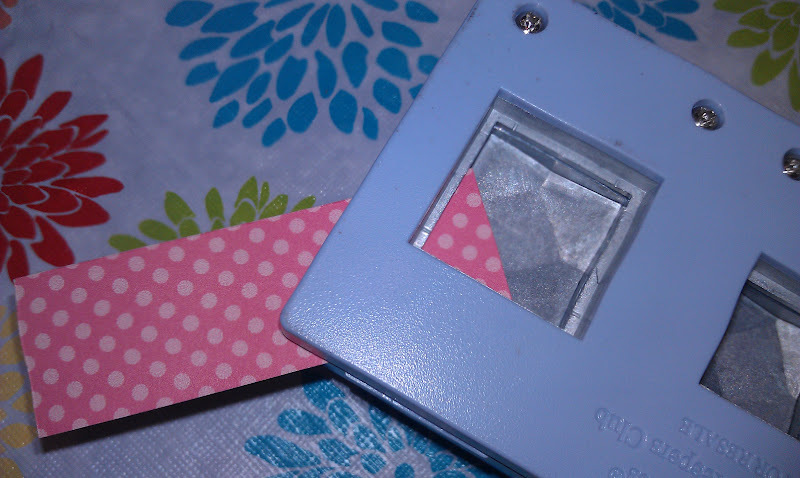 Then, I cut the striped piece to 1” x 2 ¾” and cut the ends in a “v”. A trick I like to use is a square punch. Simply insert the end you want to notch into the corner of a square punch, and punch it out. The “v” is even on both sides, and looks great! The last card I created using scraps from Dotty For You, I was lucky enough to have scraps large enough for an interesting aspect of the pattern to shine through. 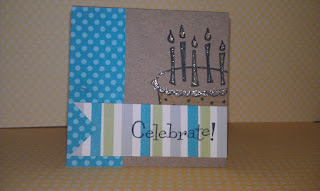 I cut a ½” x 3” strip of the turquoise dot paper, and adhered to the top of the 3x3 patterned paper. I wrapped some crème brulee bakers twine by CTMH around the top of the card. The, I cut two ovals: one from Pop Tone’s Tangy Orange and a slightly smaller one from Curious Metallic’s Cryogen White cardstock. 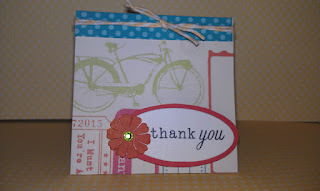 I stamped “thank you” in Tuexdo Black Memento Ink (stamp is papertrey ink). After adhering the ovals together, I placed a paper flower and gem on one side to add some sparkle. (flower and gem by CTMH). As a finishing touch, I stamped some Seam Binding Ribbon by CTMH with "just for you" and added stripes of color using Copic markers. I tied the bunch of cards together to present to our librarian. 3x3 cards are easy and fun to put together in a relatively short amount of time. I hope you have fun making some yourself!